The name “Bartholomew” appears in the New Testament only on lists of the names of the twelve apostles. This list normally is given as six pairs, and the third pair in each of the Synoptics is “Philip and Bartholomew” (Mt 10:3; Mk 3:18; Lk 6:14; but Acts 1:15). AS for me I am like a green olive tree in the house off the Lord; by trust hath been in the tender mercy of my God: and I will hope in thy Name for thy Saints like it well. Ps. ibid. Why boastest thou thyself, thou tyrant: that thou canst do mischief? V. Glory be. 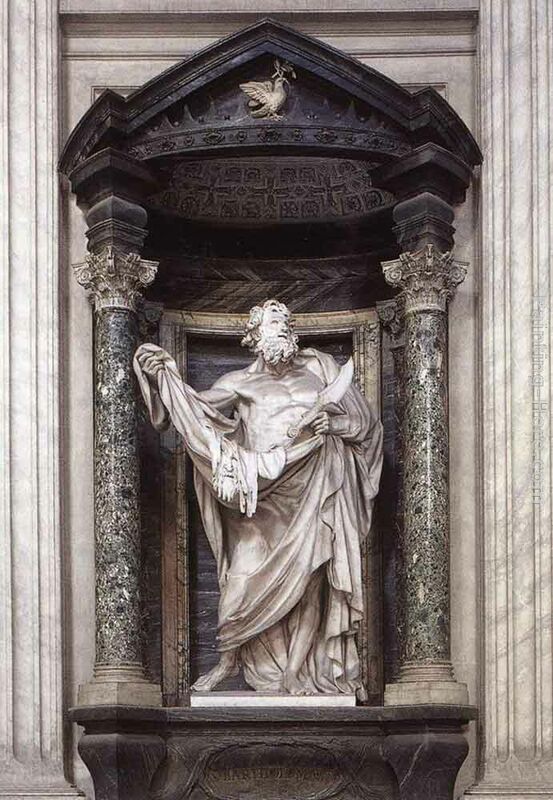 GRANT,we beseech thee, Almighty God: that we who on this day prevent the feast of thy holy Apostle Saint Bartholomew, may by the devout observance of the same increase in godliness to the attainment of everlasting salvation. Through Jesus Christ our Lord, Who livest and reignest, with God the Father, in the unity of the Holy Ghost, God, Forever and ever. THE blessing of the Lord was upon the head of the righteous. Therefore the Lord gave him an heritage; and divided his portion among the twelve tribes. And he found favour in the sight of all fleshy. And the Lord magnified him so that his enemies stood in fear of him. By his words he caused the wonders to cease: he made him glorious in the sight of kings, and gave him a commandment for his people, and shewed him his glory. He sanctified him in his faithfulness and meekness, and chose him out of all men. He gave him commandments before his face, even the law of life and knowledge, and exalted him. An everlasting covenant he made with him: the Lord beautified him with ornaments of righteousness: and clothed him with a robe of glory. The righteous shall flourish like a palm-tree: and shall spread abroad like a cedar in Libanus in the house of the Lord. V. To tell of thy loving-kindness in the morning, and of thy truth in the night-season. This is my commandment, That ye love one another, as I have loved you. Greater love hath no man than this, that a man lay down his life for his friends. Ye are my friends, if ye do whatsoever I command you. Henceforth I call you not servants; for the servant knoweth not what his lord doeth: but I have called you friends; for all things that I have heard of my Father I have made known unto you. Ye have not chosen me, but I have chosen you, and ordained you, that ye should go and bring forth fruit, and that your fruit should remain: that whatsoever ye shall ask of the Father in my name, he may give it you. Thou hast crowned him with glory and worship: and hast made him to have dominion of the works of thy hands, O Lord. O LORD, who didst exalt thy blessed Saint Bartholomew to be numbered among thine Apostles: grant that we thy people, who on this day, preventing his heavenly birth, do offer unto thee these holy mysteries, may be assisted by his intercession both in the making of our supplications before thee, and in the obtaining of all that we desire. Through our Lord Jesus Christ Thy Son. Who liveth and reigneth with Thee in the unity of the Holy Ghost, one God Forever and ever. His honour is great in thy salvation: glory and great worship shalt thou lay upon him, O Lord. WE beseech the, O Lord, mercifully to hear the prayers of thy holy Apostle Bartholowmew: that we may thereby obtain the pardon of our sins and the healing gifts of everlasting life. Through the same Lord Jesus Christ, Who livest and reignest, with God the Father, in the unity of the Holy Ghost, one God For ever and ever.